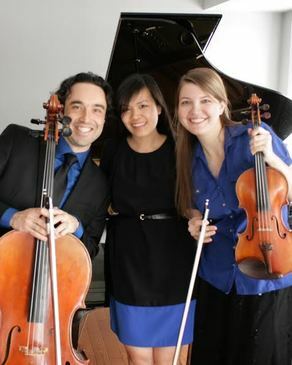 Trio Arabica will perform the music of Haydn, Canadian composer Srul Irving Glick and a selection of tangos by Astor Piazzolla. A native from China, Jialiang Zhu arrived in Canada in 2007. The multi-culture of the country and open-mindedness of its people has allowed Jialiang to discover her own identity and express her own ideas. Currently, Jialiang is active as a performer and as a teacher. 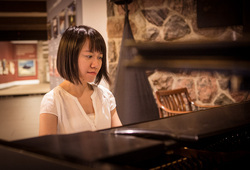 Praised by Chinese-American composer Chen Yi as “a pianist with great technique and high spirit”, Jialiang has given many performances in different cities, including Beijing, Toronto, Kitchener-Waterloo, New York, and Murrhardt, Germany. Programme to be announced soon! Pianists Marketa Ornova and Jialiang Zhu will perform a concert titled "Music in the Parlour,” which explores the ways in which music was performed in the home. Far from the concert stage, it was at the piano sitting in the family's parlour where music was most often made. The piano duet – two performers sharing one piano – was a favourite way to share music together. This project explores the ways in which piano duets were often written for women, and by women. The program includes works by Mozart, Robert and Clara Schumann, as well as a performance of Canadian composer Anne Southam's Four in Hand, after which the ensemble is named.